Do you want to enjoy dessert, which is vegan, and free of wheat, gluten, soya and refined sugar? Naturally Kind Food is your answer! Find out more about this amazing company from Andrew. 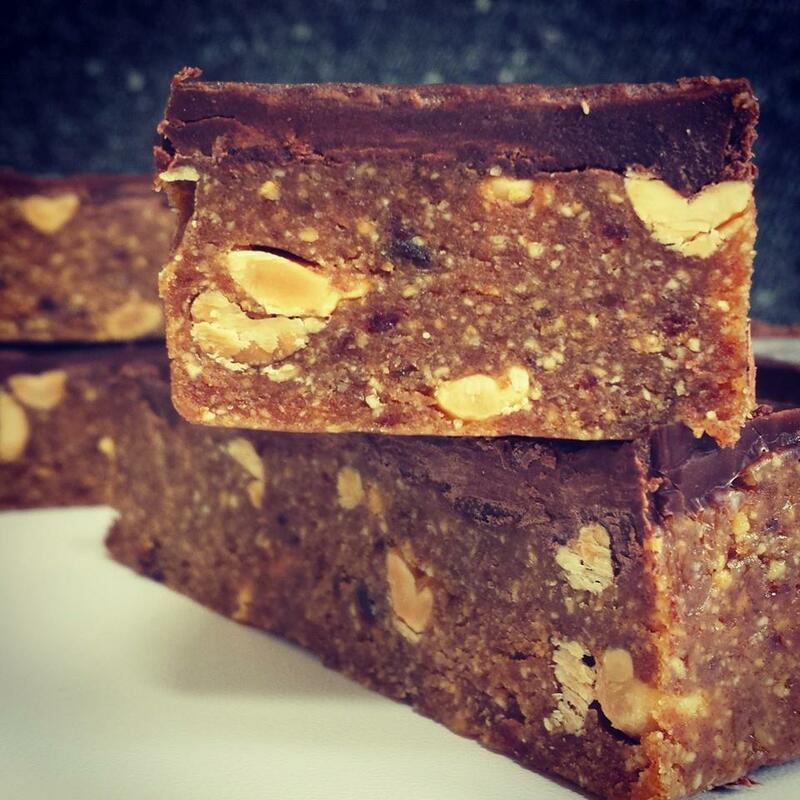 Naturally Kind Food specialises in selling desserts. We make desserts which are free from wheat, gluten, soya, refined sugar and of course dairy and eggs. All our desserts are 100% plant based and I would say also vegan in that the consciousness behind them is vegan. We are based in a small Welsh village in the Swansea valley called Lower Cwmtwrch. We are 20 miles outside Swansea city centre. We sell our products in Carmarthen, Cardiff and Swansea, be it at our regular Farmers market in Cardiff which is every Sunday, our regular farmers market in the Uplands Swansea on the last Sat of every month, or at the Marina Farmers market Swansea on the second Sun every month, or the Mumbles Farmers market which is the second Sat every month. We also supply a few shops/Cafés for example Crumbs Kitchen in Cardiff and Swansea, The Kitchen table and Café 93 in Mumbles and a stall which some lovely fellow vegans run in Carmarthen. We do not currently sell online as most of our products are chilled and it is very expensive logistically to get this up and running. 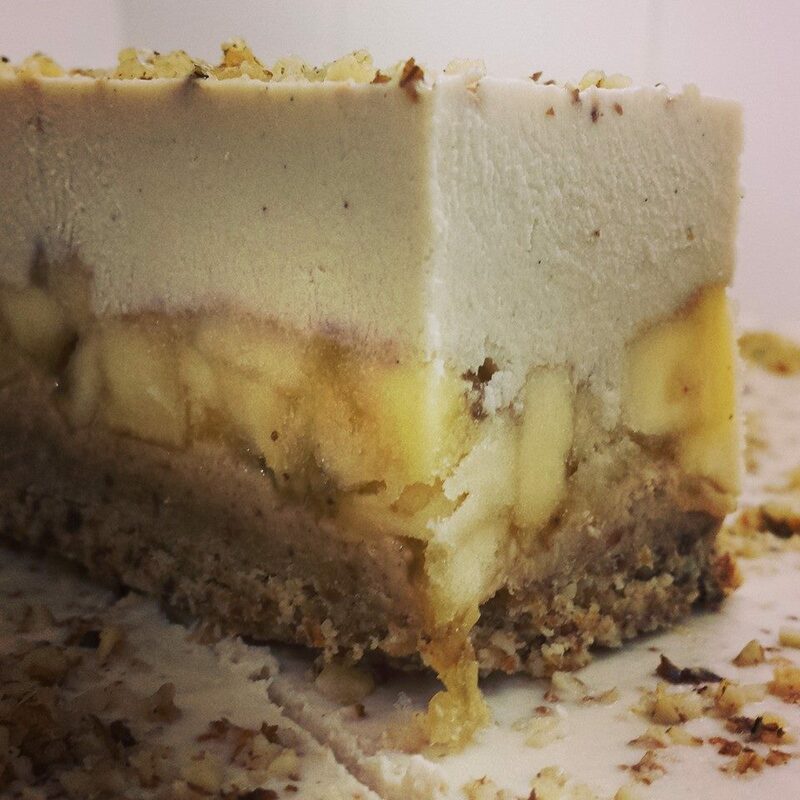 I was Operations manager for a food company based in Wales, which made vegan or plant based cheesecakes and when the company grew I didn't feel happy in my job any longer. I like small businesses, so I decided to start on my own. I loved baking so the decision was obvious. I had some T-shirts designed to sell on my stall and Tote bags to give away and sell, to help spread the message. Sourcing cruelty free ingredients is the same as if I was buying my own grocery's. I buy mainly nuts, fruits etc. for my products and buy from ethical companies that can display fair trade practices. I make my own vanilla essence as the commercial products contain palm oil. The ingredients do effect the outcome absolutely. They make them better! Cruelty free food is not contaminated with fear so it makes you feel better when you eat it. It raises your consciousness. The three most popular items I sell are the banoffee pie slice, the roasted peanut and caramel slice and the summer fruits slice. Naturally Kind Food is solely owned and operated by me. I am long term veggie and 5 yr vegan. My vision for Naturally Kind Food is to one day open a commercial premises selling purely plant based meals, juices, desserts etc. A place where the food is so tasty fresh and healthy people will keep coming back for more! Also I have been asked several times from people across the country if I would consider starting a franchise. This also is something that I am considering for the future.